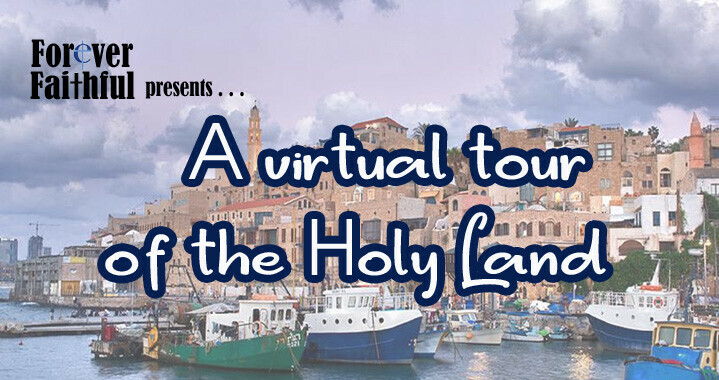 Plan to join all ages at this spectacular Forever Faithful potluck/program, as Dr. Hylander uses a combination of Scriptural texts, pictures, and maps to present a virtual tour of the Holy Land! Please sign up in your Equip class or on the Forever Faithful bulletin board near the Gathering Grounds coffee bar. The presentation will provide an opportunity to develop a greater understanding of the land of Israel. We will follow the itinerary used by Pastor Gary when he and Pam traveled the Promised Land last October. We will begin with the beautifully restored ancient port of Jaffa, where Jonah attempted to flee God's direction. From there, we will travel up the Mediterranean coast to Caesarea, where Paul prepared to embark for Rome. Heading inward, we will reflect upon such settings as Megiddo, Mount Carmel, and of course, the Sea of Galilee, Cana, Nazareth, and Capernaum will be noted. Making our way south along the Jordan River, we will head toward Jerusalem, and begin with a panoramic view of this majestic city. We will ponder such settings as the Mount of Olives, the Garden Tomb, and the Garden of Gethsemane. We'll follow the Via Dolorosa, and Golgotha, and reflect upon the significance of the Western wall. By the time we are finished, we will sense not only the grandeur of the Holy Land, but also how it fits into the plan of redemption established by God through the cross of Jesus Christ.